You only have 20 minutes to squeeze in a workout, but you want to get both strength and cardio benefits, so what do you do? The options are (1) you can tell yourself 20 minutes is not enough time for a decent workout, (2) you can lift like crazy for ten minutes, then run like crazy for 10 minutes, or (3) you can use circuit training, which can offer you strength and cardio benefits in a short period of time. If you don’t have much time to workout, circuit training is a great way to switch up your workout. I also find this style of strength training is typically very appealing to women, because you don’t have to lift very heavy weights and the workouts don’t feel as much like traditional, bodybuilding type of strength training. I have below a 20 minute full body circuit workout that you can give a try. I’m not using a medicine ball in the photo below, but a dumbbell as an alternative. Be careful with this exercise, you should not feel any pain in your lower back. Twist with your upper back and torso, not your lower back. An alternative is wood chops, or bicycles. 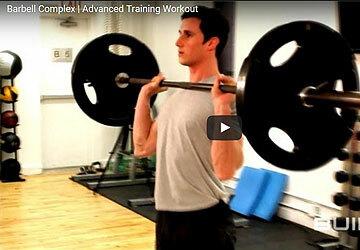 That’s the framework I used to create this workout. Pretty cool, huh? Thanks for this workout suggestion. I probably will not do it all….but I at least got started! I loved this workout. It is one I plan to do when on vacation or at conferences. It is a quick but good workout; gets me out of the gym quickly. The medicine ball twist took a little time to do, but I can now get my feet off the ground and maintain my balance while doing this segment. I also used a free weight. Did three sets of this circuit last night– good workout! 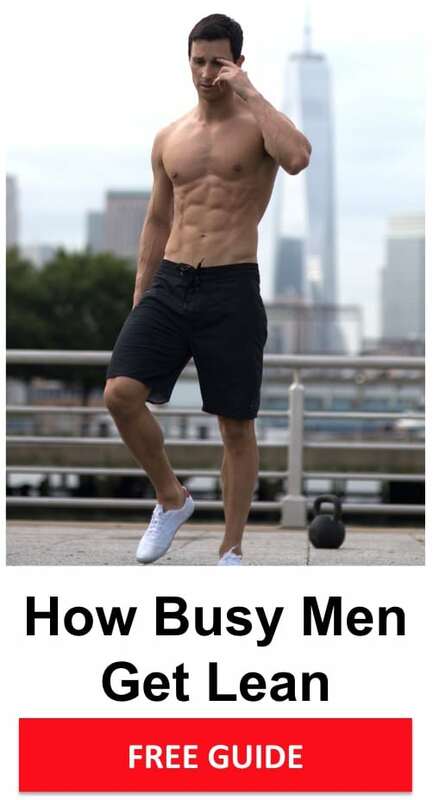 I’m putting in some long hours at the office right now and commuting from Westchester to Manhattan, so this’ll be a good way for me to get good strength and cardio workouts in during the week. @Jason – Thanks for letting me know and I’m happy you enjoyed the workout. 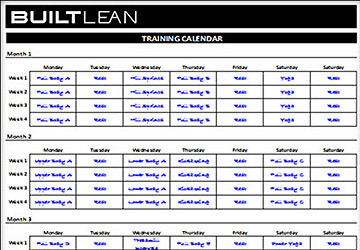 I look forward to adding more workouts soon! I just finally downloaded this fabulous workout. It should be beneficial for the cold upcoming winter months when we are inside more. I also forwarded it to my daughter who just had a baby. Great postpartum workout that can be done between feedings!!! My inspiration Mary recommended this info and she looks fantastic. @Cookie K – Awesome! I’m happy you liked the workout. Followed by core – Planks, Superman and reverse crunches..
Would this fall into the category of this framework? @Roshni – I think you are on the right track. What I would do is separate out the exercises into 2 circuits which you could complete 2x each, or just do one circuit as one workout and another circuit as another workout, but do them 3-4 cycles. You don’t have to do every movement every workout. Thanks very much, Marc, for your feedback. Will do as you have suggested. Am hoping to get back into a decent level of fitness and of course, lose about ten-fifteen pounds. 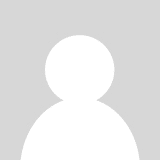 Thank you for all the information you have shared in this web site, extremely useful. I’d like to do this circuit at home, as going to the gym and back is quite a hassle for me. The problem is that I cannot do a pull up or lat pull down at home because there’s no equipment. Is there any good pull exercises that we can do at home? Pull ups – if you can do them and of course, you need a pull up bar. Pull ups, chin ups etc. are great. It’s one of the few exercise I do religiously once per week because there are so many variations. 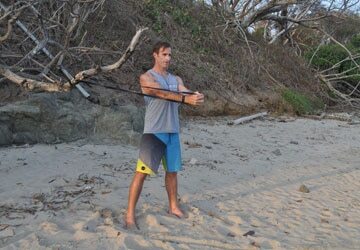 DB Rows – Single arm, double arm, you can even use different wrist positions as well. 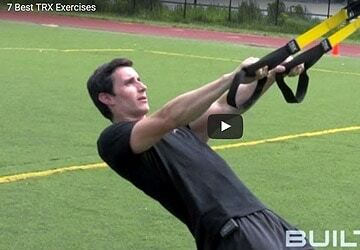 Resistance bands rows and TRX – these are other pieces of equipment that can help with pulling motion. Deadlift while not a true pulling motion, does isometrically stress the back/pulling muscles. Can be done with dumbbells. FYI, there are two types of pulling motions – (1) vertical pull and (2) horizontal pull. You want to do both types. Thanks Marc. Shortly after I asked the question I discovered that there is something in the world called a pull up bar (from your other post about 7 fitness gifts) that can be installed at door frames and then I realized that I might have asked a stupid question. For 2 types of pulling motion, I think pull ups are vertical and the remaining you mentioned are horizontal, correct? @Peter – That is correct. Hi Marc …read your workout suggestion…..they are pretty good….. I have put on about 10 kg weight.. I have been working out for five months about 5 to 6 times a week…with split workout schedule….I was ill twice during this period so took about 15 to 20 days as a break…… I eat six meals in a day with just salad and a slice of bread at night but havent lost much weight……including full bosy workout along with split on alternate days will helf me loose fat faster…please suggest. Esha – if you have a 2 day split with 2 workouts per week, adding a full body workout may make sense, but if you have a split where you are lifting 3-4x per week, I don’t think a full body workout will move the needle. With that said, I’m a big fan of high intensity interval training for fat loss. hi i am at a begginer level and i was wondering what would be a good full body workout for me. i am not experienced with working out and i only need to gain muscle, can you help. 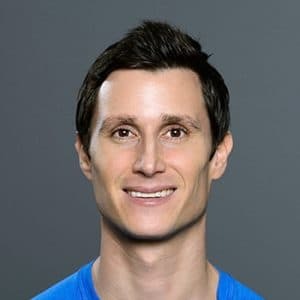 @Matt – I would start out with something similar to the workout I have in my Get Lean Guide, but try to use body weight exercises like push ups. I would also try to meet up with a knowledgeable trainer a few times to learn proper exercise form. It’s well worth the investment. I was wondering are there alternatives to push ups and pull ups as they are apart of another workout during the week and I want to rest them on days when doing this circuit? Just use exercises with the same movement patterns. Push ups are a horizontal pushing motion (think flat DB bench, Barbell Bench etc.) and pull ups are a vertical pulling motion (think resistance tubes). Also consider doing different variations of push ups and pull ups, which is personally what I do. You can use the search bar on the top right hand corner of the site to search for push up and pull up variations. Hello Marc.Can i do this circuit workout 3 or 2 times per week?If so which days do you recomend?Can i add some cardio in the week.Sorry for my english. @David – You can do this circuit 2-3x per week, and ideally if you could separate each workout by one day, that would be ideal. I need also a clarification about the fifth movement called Twist.Could you mention a few exercises?I already know the bicycles and ball twists.How about the bird dog or v-ups? @David – twist, or rotational exercises are excellent to include into your routine, so I’m happy you are interested in them. A bird dog is called an “anti-rotation exercise”, meaning in order to stabalize yourself as you are doing it, you have to prevent your body from rotating. Some people will count that as a rotation exercise. A V-Up on the other hand is not a rotation exercise. Some of the best rotation exercises are a wood chop, or reverse woodchop, where you use a cable, or resistance band and pull down like sideways like you are chopping word. As you rotate, you are rotating your abs, shoulders, and hips. You can also do lunges with a twist as well. We’ll be adding more rotational exercises soon, so thanks for your question!